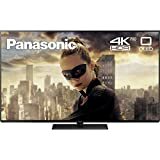 If you are looking to buy an LG OLED 4K TV this 2018, then there are a few things that you need to know. This 2018, LG Electronics unveiled their latest OLED television lineup. Namely — B8, C8, E8, G8, and their flagship OLED TV, the W8. Though you might ask, what are the differences between these OLED TVs? In this article, we will discuss and point out the differences of each OLED TV. We aim to make this article a simple guide to show the differences of each OLED TV. Also, to aid you in your purchasing decision. Given that these OLED TVs come with a hefty price, the importance to know the details of each TV really matters. So you can get the right one for you. The one that really meets your needs and to avoid spending more unnecessarily. The 2018 OLED 4K TV lineup of LG is divided into 5 series. 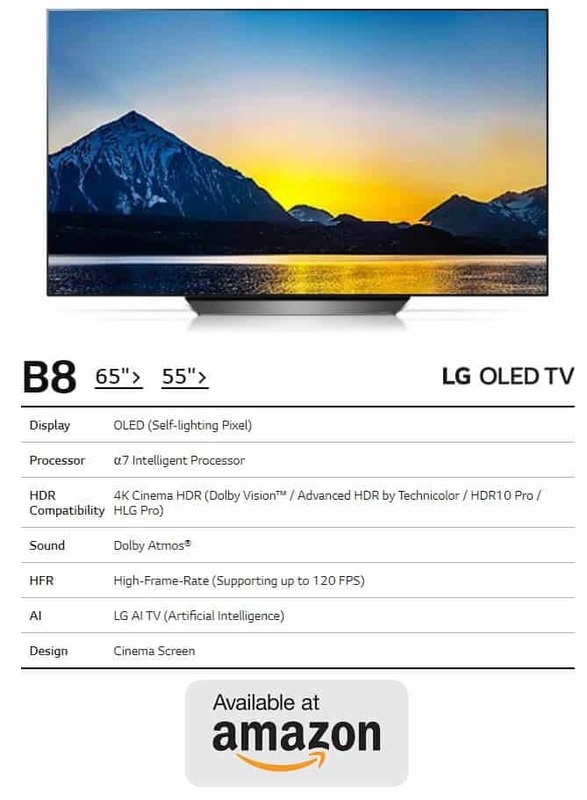 First is B, or known as the entry-level 4K OLED TV of LG, followed by C, then E, then G, and lastly is W, or also know as their flagship OLED model. These series naming started way back in 2016 as the first generations of LG OLED 4K TVs are named as B6, C6, E6, G6, and W6. Today, we are taking a closer look at the 2018 edition of these OLED TV models. Looking back at the predecessor of the B8 and C8, the only difference between the B7 and C7 are their stand. Both TVs are identical in terms of specification and performance. Fortunately, the B8 and C8 now have major differences. Both models are still the most affordable and cheapest 2018 4K OLED TVs from LG. Despite having almost the same design, the main difference between the B8 and C8 are their processor and stand. Both models, however, features no-frills design, no shiny glass design, and no premium soundbar included which makes both TV very affordable. The LG OLED TV B8 is more of a junior OLED TV. 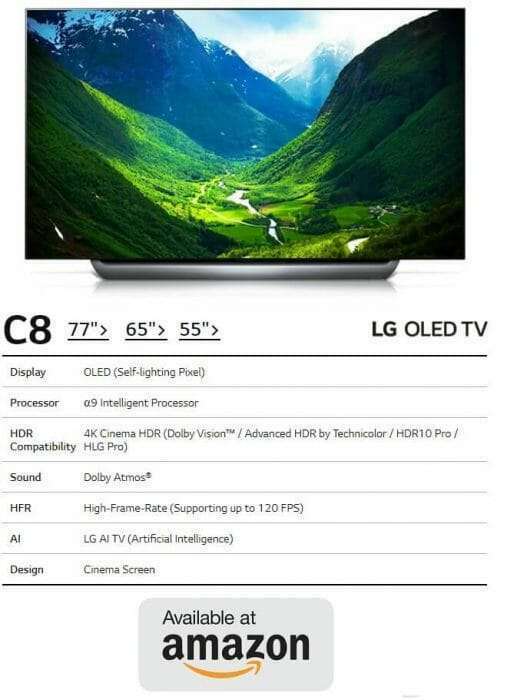 It features an α7 Intelligent Processor instead of an α9 Intelligent Processor that the C8 and the rest of OLED 2018 models have. Furthermore, the α7 is not quite as powerful since it has a lower level of noise reduction, colour accuracy, and HFR handling. But it does have the black frame insertion that is found on α9 processors. This feature basically improves motion handling. The LG OLED TV C8, on the other hand, comes with a unique looking stand. This curve stand design actually serves as a mechanism to direct sound towards the viewer. This then results in a more direct sound with clearer voices. 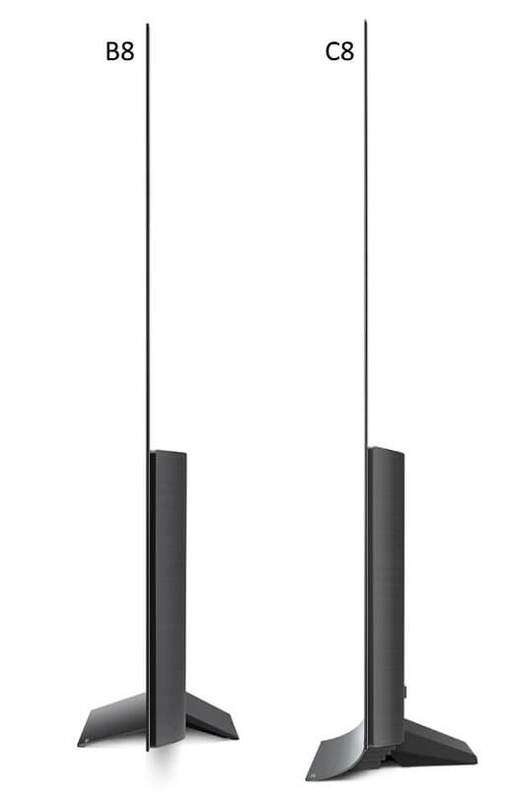 In addition, C8 has a better grip of the bass than the B8 and the previous C and B OLED ranges. Adding some depth to the overall sound experience. LG expects to sell both models in greater quantities compared to last year’s. The C7, with its reasonable price tag, was a huge seller in 2017, especially during the Black Friday sale. In our opinion, if you want the best value for your money, the OLED C8 4K TV is the one to go for, this is the model that anyone eyeing on the best value from an OLED TV should keep an eye on. The LG OLED 4K TV E8 is the cheapest that features Glass design and built-in speaker at the same time. That’s only the difference of E8 from G8 and W8. The LG E8 focuses on the picture and its design. It mostly designed for people who want to purchase an OLED TV that have a sound system. This then cuts the price of the TV. The LG OLED G8 is the most popular G series and the original ‘Signature’ model. G8 designed to show the company’s capability, technology, and talents. With G8, get the elegant ‘picture on glass’ design, which we find flashier and more fancy looking than the W series’ minimalist aesthetics design. It is known as “Wallpaper TV”. 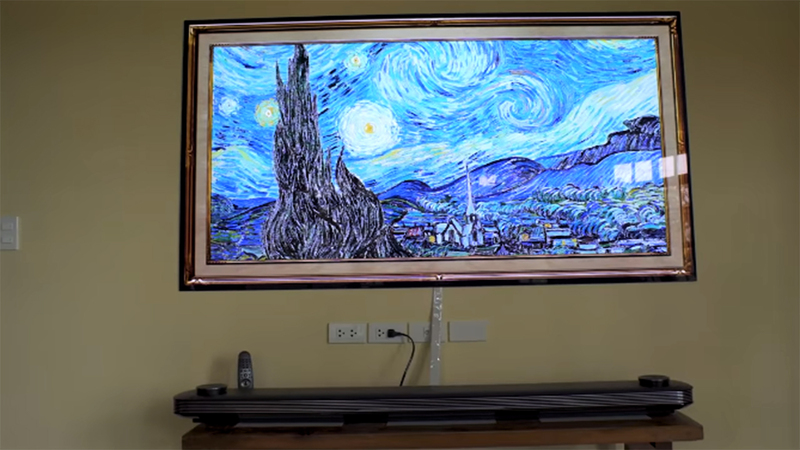 It features an ultra-thin screen that designed to mounted on your wall with magnets. The sound system and connections sit separately in the soundbar attached to the screen via a thin ribbon cable. Compared to the 2017 LG OLED W7, the W8 looks virtually identical to it in terms of design. Although the picture performance is by far better than the W7. 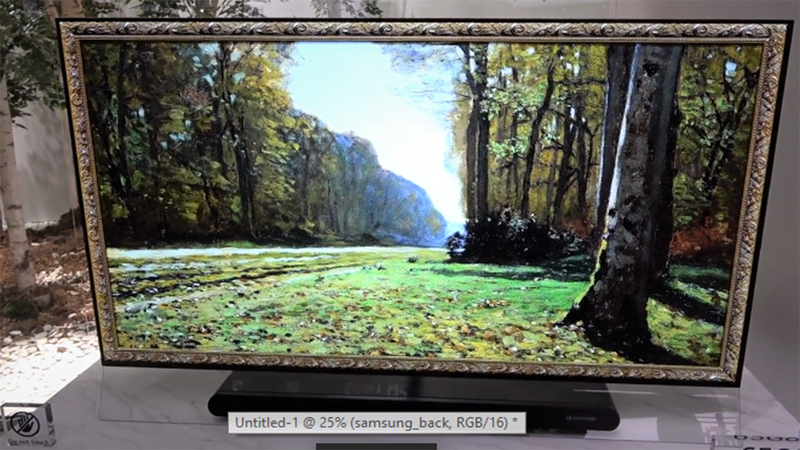 « What is an OLED TV?